The Sokoto State Executive Committee of All Progressives Congress (APC) has passed a vote of no confidence on the party�s National Vice Chairman, North West, Malam Inuwa Abdulkadir. 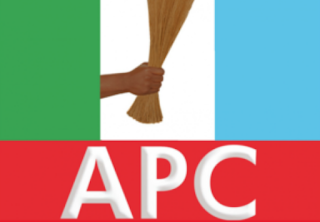 A statement signed by the state�s APC Chairman, Alhaji Bello Danchadi disclosed this on Sunday in Sokoto. �The committee members condemned the actions of the National Vice Chairman in charge of the zone, Malam Inuwa Abdulkadir, and unanimously passed a vote of no confidence on him, sequel to sustained and flagrant anti party activities. �The party regretted that, Abdulkadir has continued to romance and openly work for the opposition party, rather than his supposed party, the APC. �The leaders of the party have therefore called on the lational leadership of the APC to urgently do the needful, take all the necessary steps to remove Abdulkadir from office,� he said.